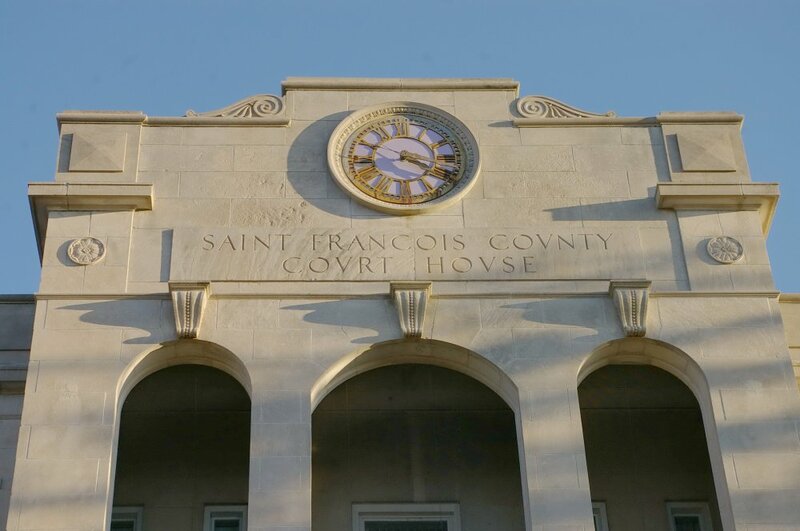 St. Francois County is named for St. Francis of Assisi, who was a Catholic deacon and founder of the Order of Friars Minor known as Franciscans. 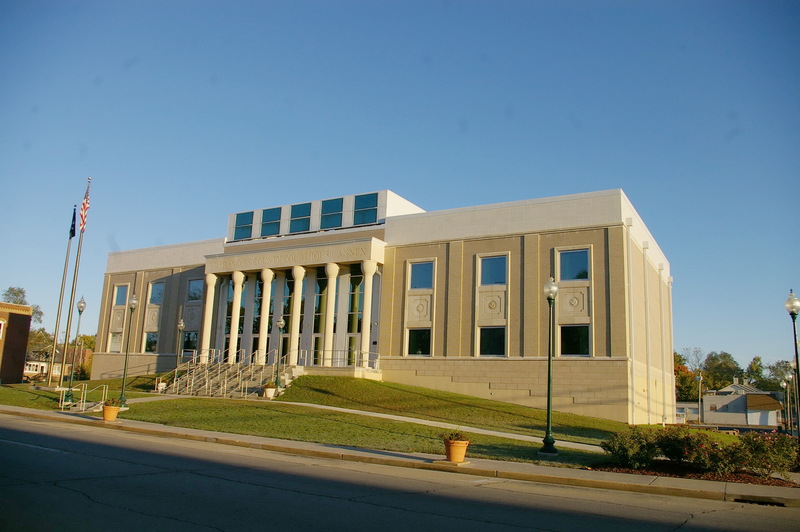 Description: The building faces south and is a three story Carthage marble and Bedford limestone structure. The south front has a projecting portico supported by four columns rising to the top of the second story. 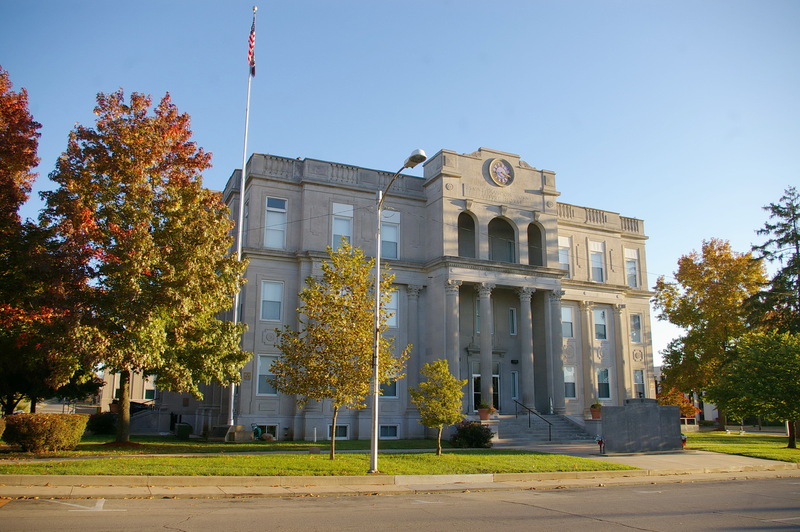 Above the portico is a three arch section on the third story with clock at the top. 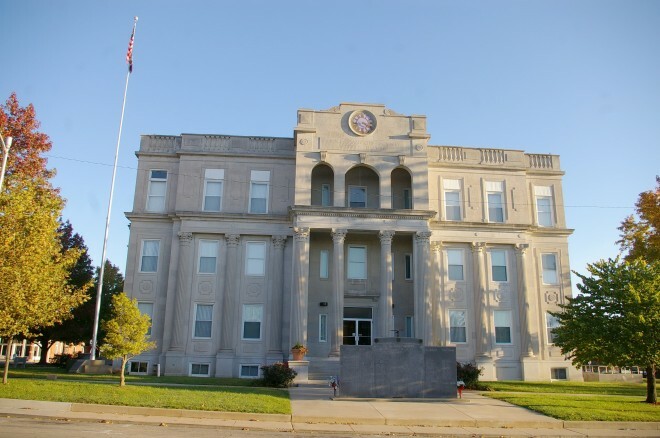 Vertical columns adorn the main building and rise to a cornice below the third story windows. The roof line is flat. 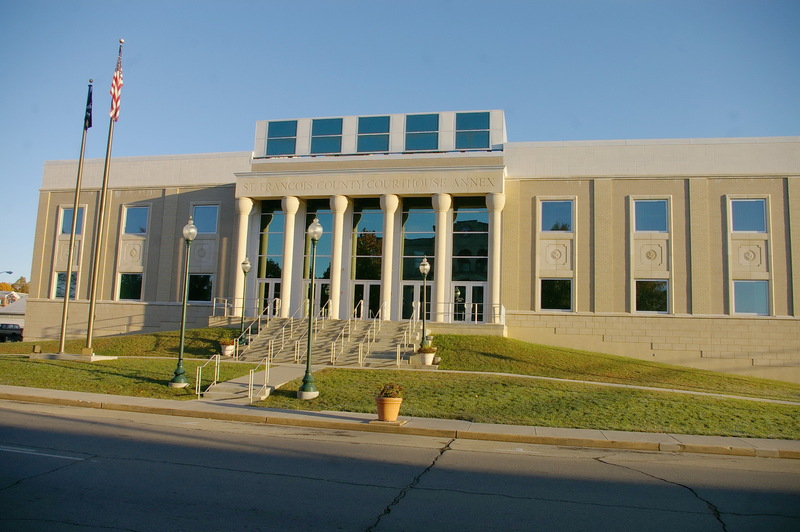 Description: The building faces south and is a two story buff brick, concrete and glass structure. 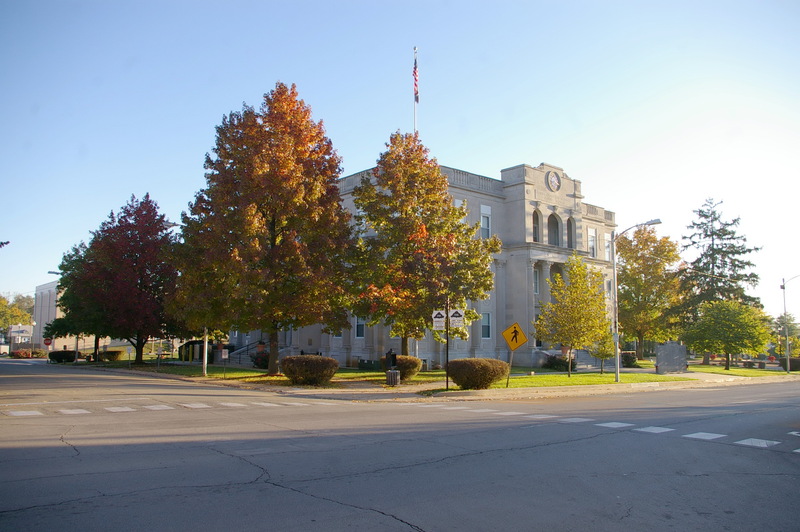 Located on landscaped grounds, the building is located on the north side of the courthouse. The south front has a porch with six columns rising to a header. A wide band runs below the flat roof line. A center section rises above the roof line.